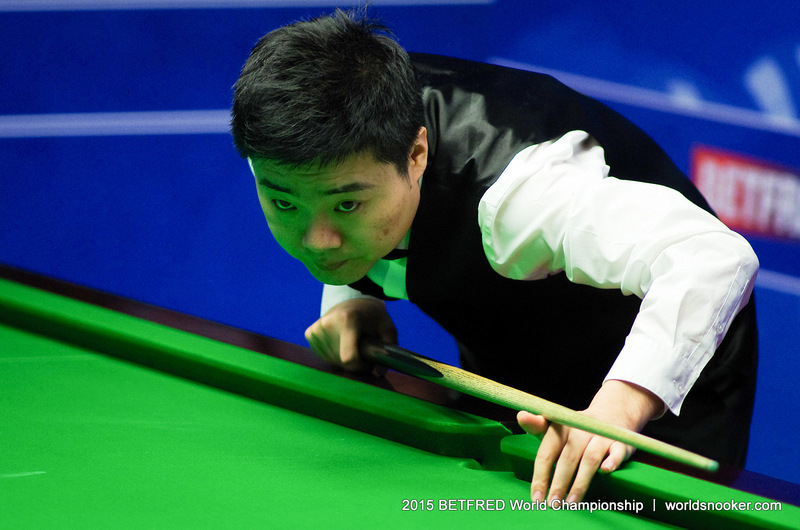 Ding Junhui easily negotiated the final qualifying round of the Betfred World Championship, beating Nigel Bond 10-2. China’s Ding was forced to qualify after dropping to 17 in the world rankings earlier this month, but won his three matches at Ponds Forge for the loss of just seven frames to secure a place at the nearly Crucible Theatre in Sheffield. Ding, who beat Greg Casey 10-4, Ross Muir 10-1 and then Bond, goes into the draw to take place at 10am tomorrow morning and is surely the one player who any of the top 16 would want to avoid. The 29-year-old has never been past the semi-finals at the Crucible but will go there full of confidence this time. Ding, who has won 11 ranking titles, fired breaks of 91, 137, 65, 98, 53 and 140 in a fine display against Bond. Mitchell Mann will make his Crucible debut this year thanks to a 10-9 victory over Dechawat Poomjaeng. Mann won the decider with a superb break of 79 having been hauled back from 9-7 to 9-9. World number 74 Mann is in his second year on tour and is now guaranteed his biggest pay-day so far as last-32 losers will receive £13,250. “I have been working on the mental side with my manager John Farnworth and that really helped me keep my composure today,” said 24-year-old Mann. “I’m buzzing inside and can’t wait to get to the Crucible. I won Junior Pot Black there in 2007 so I’ve got a 100 per cent record! Alan McManus secured his 20th appearance at the Crucible with a 10-2 thrashing of Jimmy Robertson, his top break 85. “If someone had told me in 1991 when I made my debut that I’d be coming back to the Crucible 25 years later I wouldn’t have believed it,” said Glasgow’s 45-year old McManus. “It was great to get over the line today without too much stress because I was expecting a really tough match against Jimmy. 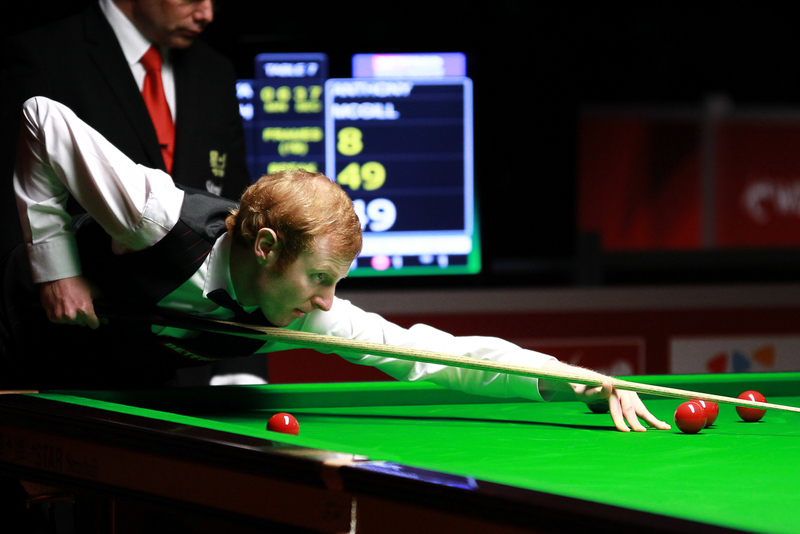 Anthony McGill, who reached the quarter-finals on his Crucible debut last year, secured a return with a 10-7 defeat of Thepchaiya Un-Nooh. McGill saw a 6-3 overnight lead disappear as U-Nooh took the first three frames today, but McGill rallied to win four of the last five. 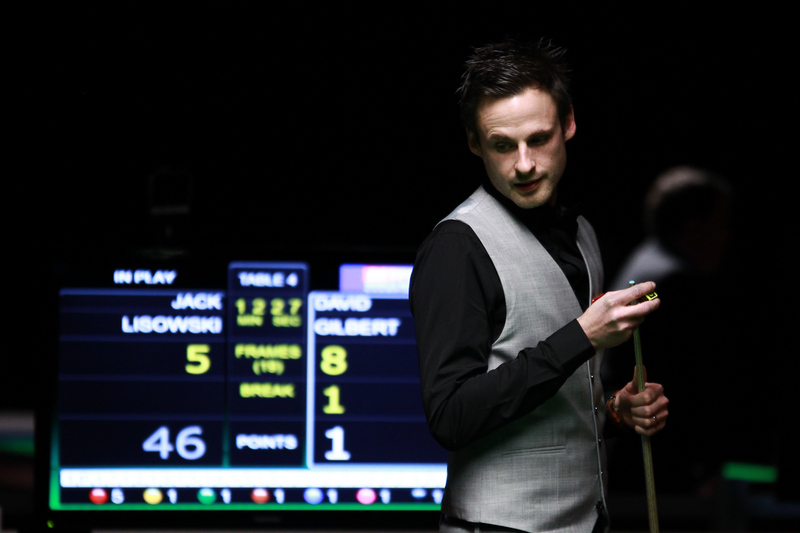 David Gilbert earned his place in the last 32 with a 10-7 defeat of Jack Lisowski. The key moment came in the 16th frame when Lisowski looked set to go 8-8 until he missed a red on 54. Gilbert made an excellent 73 clearance and secured victory in the next frame. Devon’s Sam Baird is through to the Crucible for the second time thanks to a 10-9 win over Liam Highfield. Baird let slip leads of 5-1 and 9-7 but eventually won with a break of 75 in the decider. In the last match of the first session to finish, Robbie Williams edged out Anthony Hamilton 10-9 by potting brown, blue and pink in the deciding frame. Williams is through to the Crucible for the third consecutive year.